A fun superhero film that’s well worth a look, but had the potential to be so much greater. While some are sure to say DC Comics may be on top of the comic book game, it seems Marvel is beating them in the movie world. 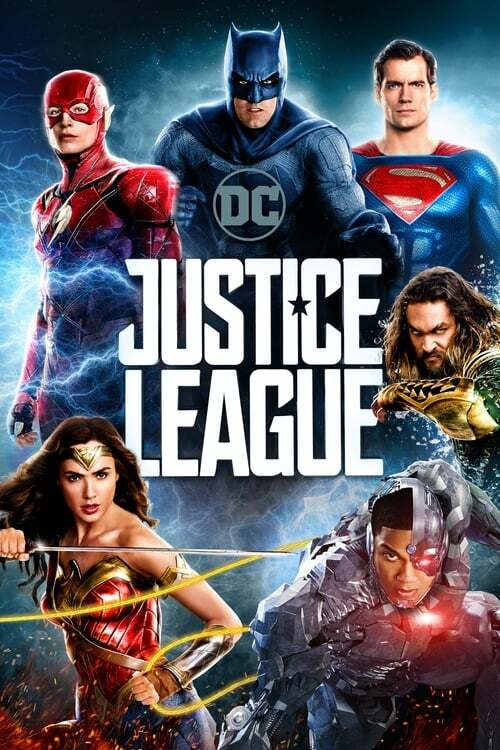 After films such as the good Man of Steel, the decent Batman V Superman, and the great Wonder Woman, we’re now at another decent entry in the DC lineup with Justice League. It’s a fun movie that’s worth watching to be sure, but you’ll soon find yourself with the nagging thoughts of “if only it did this…” not long after hanging with these heroes. Fellow editor Travis Seppala loved the movie when it was released last year, and you can head on over to his review for all the plot details and more. This leaves me to give my two cents on the movie and the special features included in this release. I’ll admit it, I did like Justice League for the most part, but I didn’t “love it” like I really wanted to. You can tell the production of this film had a lot of issues and troubles that spilled over into the movie as there was just so many things that felt off or were just missing altogether. Going back to my “if only…” bit from earlier, I couldn’t help but feel that if only DC and WB took the time to flesh out each of these characters in their own separate features first before throwing them all together in this one, that things would’ve gone a lot better here. So this film much like Batman V Superman feels like a rushed mess that has moments of greatness here and there, but far too few between them. I’m glad I was able to watch it in 4K with HDR at least, as the movie looks and sounds as good as it can thanks to all of the additional, ultra high definition details in the picture (too bad it can’t fix up some of the so-so CG effects) and the Dolby audio that makes you feel like you’re fighting alongside these heroes. There’s also quite a few special features with some of them being super in their own right, though I’m surprised there isn’t any audio commentary by director Zack Snyder and/or Joss Whedon that took over on some of the filming. “Road to Justice” has some DC comic creators explore over fifty years of Justice League history, from the comic books to awesome and beloved animated series. “Heart of Justice” features some of the cast and crew giving their takes on what makes Justice League’s iconic trinity of Superman, Wonder Woman and Batman so special, “Technology of the Justice League” goes into some of the neat gadgets in the film such as Batman’s infamous weapons and vehicles, to Cyborg’s…everything, “Justice League: The New Heroes” has star Ray Fisher taking viewers on a tour to meet Aquaman, the Flash and of course his character Cyborg. “Steppenwolf the Conqueror” has the great Ciarán Hinds who voiced the villain and some of crew discussing this character and the threat he poses to the league in the movie. There’s also a few more extras that go into the costume design for the characters, filming scenes as well as going into how they were made, some scenes cut from the movie including Superman returning in a black costume, and more. Justice League is a fun superhero film without a doubt, but it could’ve been so much better and so much more had DC and WB took their time to flesh out the heroes in their own stories first before uniting here. It also doesn’t help that the special effects are rarely all the special (you know things are rough when they had to green screen the Kent farm, like real farms don’t exist), but even still it’s a ride worth taking as we can only hope the next DC film brings us some real justice.